This trendy short by CATCH impresses with its fashionable colour design and fit. The slanted side pockets and the two buttonded back pockets make it to a comfortable leisure trouser. 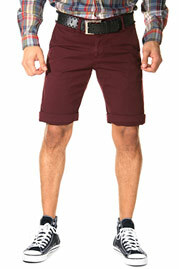 n combination with a t-shirt the short is a real must have. Jeans will be shipped without belt.